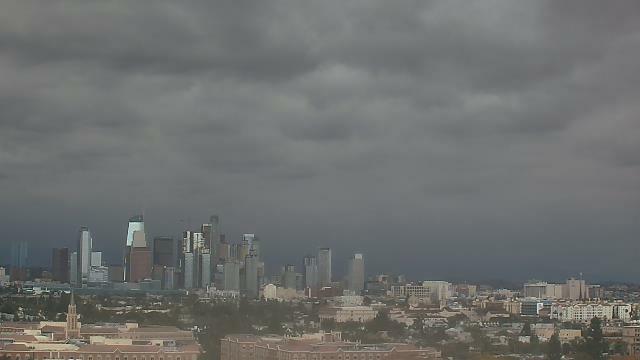 Webcam Los Angeles, California: Los Angeles Skyline - A webcam in Los Angeles, California - camera location: University of Southern California. Los Angeles, California: LAX Webcam, 8.7 mi. South Pasadena, California: South Pasadena Middle School, 9.8 mi. Marina del Rey, California: Marina Aquatic Center, 9.9 mi. Venice Beach, California: HD Stream Muscle Beach, 11 mi. Manhattan Beach, California: El Porto Beach, 11.3 mi. Manhattan Beach, California: Manhattan Beach Pier, 11.9 mi. Santa Monica, California: Santa Monica Beach, 12.2 mi. Pasadena, California: CalTech, 12.3 mi. This webcam Los Angeles, California with the theme Skyline was added on May 22, 2014 and is operated by WeatherBug. It got 8377 visitors since then. Shouldn't this webcam work or should the link be wrong please report that here. You can add this webcam here to myCams.